This dish is one of my fave recipes as most of my entries here :D I love dozens of tofu recipes and this is one of them. For me tofu is one amazing food that I can mix with veggies, chicken, fish and pork. 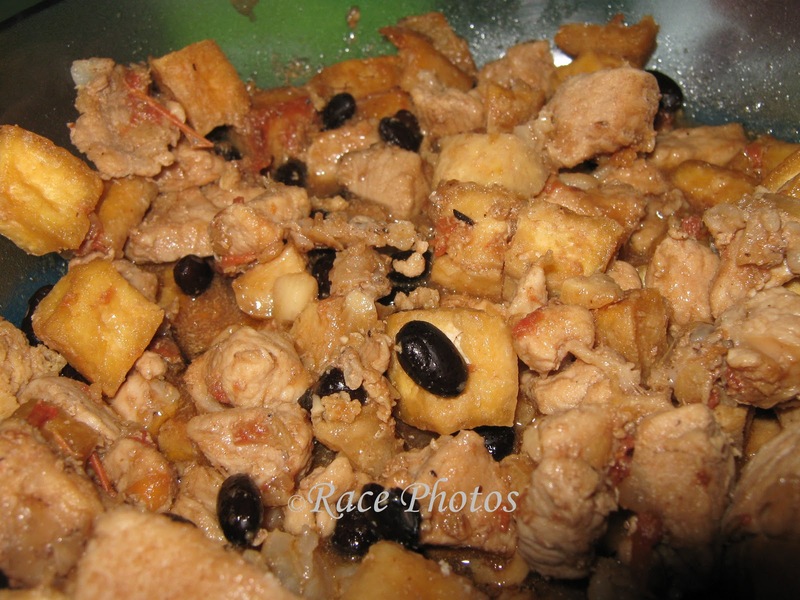 In this recipe I have tofu, pork pigue, black beans, onion, garlic, pepper, salt (optional) and sugar. I prepared tofu chicharon first and set it aside. Just saute onion, garlic and put pork. Wait until pork is tender then add black beans without the sauce as it might be too salty. Add tofu chicharon, pepper, pinch of salt and sugar to taste (around 2 Tbsp). That's it, so easy and very yummy. Some use tenga ng baboy (pig ears) for crunchy taste instead of pork pigue or kasim. Sometimes they combine both. It depends on your taste and creativity. sounds delicious...thanks for sharing your recipe! PinayMum - Mommy's Life Around...wishing you a great weekend! all time favorite tokwa't baboy. i love this also. yummy....i'll learn how to cook this one..
i'm also into tofu and i love tokwa't baboy but sometimes without the baboy so it's healthier. I love tofu with pork, but I can't eat it alone. :) Yummy niyan ah! WIN TICKETS FOR 6 TO THE BEST FOOD FORWARD FOOD FAIR! i love this one, the taste and aroma of black beans makes it more mouthwatering, yummy. ginutom mo ako sis! :) PinayMum - Mommy's Life Around...wishing you a great week! You also need to saute ginger along with the garlic and onions.